Athens is currently trying to negotiate a new bailout deal with its Troika of creditors, but if that falls ‘Plan B’ could reportedly involve getting rid of the euro and cutting off its banking system from the European Central Bank. Greece’s government is getting ready to nationalize the country’s banks and return to the the drachma, the Telegraph reported citing sources. “We are a left-wing government. If we have to choose between a default to the IMF or a default to our own people, it is a no-brainer,” a senior official told The Daily Telegraph. “We will shut down the banks and nationalise them, and then issue IOUs if we have to, and we all know what this means. What we will not do is become a protectorate of the EU,” according to another source. The drachma was Greece's currency from 1832 until 2002, when it switched to the euro. At the time, 1 euro equaled about 340 drachma. When the financial crisis hit Iceland in 2008, the government decided to let the banks fail and default on $85 billion, and the country’s three main banks were nationalized. The transition was painful- the stock market plummeted 90 percent, unemployment jumped to 10 percent, and inflation ballooned to 18 percent. Though the economy still struggles with an unstable currency, but a slow and steady recovery has occurred. GDP is finally back at pre-crisis levels, unemployment has improved to 5 percent, and inflation is below 2.5 percent. The Greek government has €463.1 million of IMF loans to be repaid by April 9 and another €768 million falling due in May. After Greece does this, and the EU approves the reform proposals by Finance Minister Yanis Varoufakis, the Troika of lenders- the IMF, the European Central Bank, and the European Commission, is expected to release the next €7.2 billion tranche to Athens. According to senior official, Syriza and Prime Minister Alexis Tsipras have the power to decide not to make the upcoming payments. “We may have to go into a silent arrears process with the IMF. This will cause a furor in the markets and means that the clock will start to tick much faster,” the source told The Telegraph. 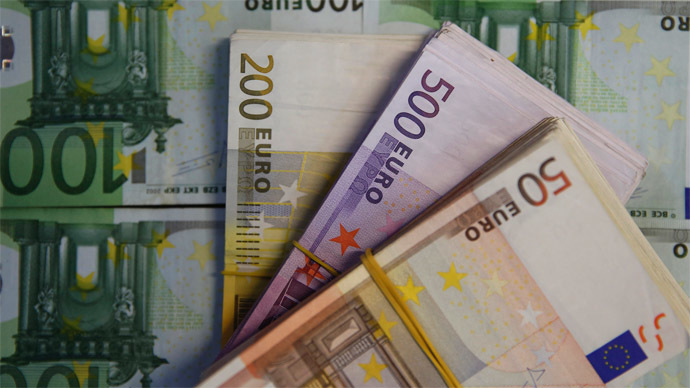 On Friday the Finance Ministry denied rumors they wouldn’t pay the €460 million sum on April 9. Countries in the past that have defaulted in their IMF loans include Sudan, Peru, Liberia, the Congo, Somalia, Zambia, Guyana, Yugoslavia, Vietnam, Zimbabwe, and Iraq. With its massive €316 billion debt, a collapse of the Greek economy has the potential to shake the rest of Europe. The reason the EU came to Athens’ rescue with two bailouts totaling 240 billion euro was to protect the euro currency, which at the time was shared by 18 separate countries, Greece included. In the case that lending is cut off, Greek banks will overnight become insolvent and Athens would have to start printing its own currency to replace the euro. In February, deposits in Greek banks declined by around €7.6 billon to a 10-year low of €140.5 billion, as customers started pulling out their money over growing concerns the country may leave the eurozone. Alexis Tsipras came to power in January on the promise of no more austerity from the EU, but has had to compromise many of his big ideals in order to receive more funds. The four month extension agreed in February will expire at the end of June. In anticipation, Greek and EU officials will hash out a more permanent solution, which could include a third bailout package, or if Greek has their way, debt forgiveness. 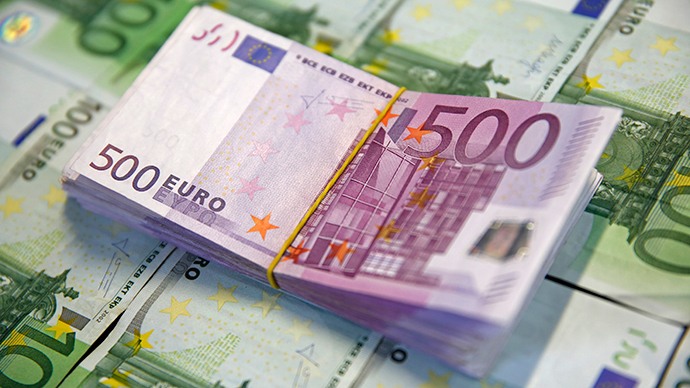 Greece needs to receive about €17 billion in order to meet its payments for the rest of 2015. Another option Greece has is to turn its back on its European creditors and look eastward, either to China or Russia, for a loan with less strings attached. The Greek PM is scheduled to visit Moscow and meet with President Vladimir Putin on April 9. Former Greek Prime Minister Antonis Samaras has returned to the political arena to try and build a coalition to make sure Greece stays in the eurozone.